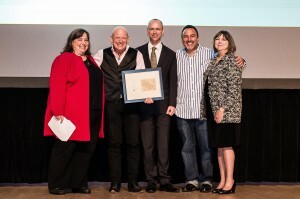 Washington, DC – May 16, 2014 – Douglas Jemal, Founder and President of Douglas Development Corporation, was honored last night with the Lifetime Achievement award as part of the 11th annual 2014 District of Columbia Awards for Excellence in Historic Preservationin the historic DAR Constitution Hall. Mayor Vincent C. Gray, The District of Columbia Historic Preservation Office/Office of Planning and The DC Preservation League presented the awards. Highlighting the event was Mayor Gray’s presentation of the Individual Lifetime Achievement Award to Douglas Jemal for three decades of unparalleled accomplishments rehabilitating historic structures in the District. 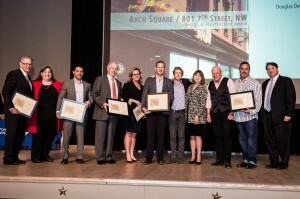 Douglas was recognized for the development of the many projects in the East End of Downtown Washington and for being a catalyst for the redevelopment of that area. Signature projects include 7th Street Row in Chinatown, Woodward & Lothrop flagship building, F Street Historic Row and The Atlantic Building. Douglas is the first developer to receive the Lifetime Achievement Award. 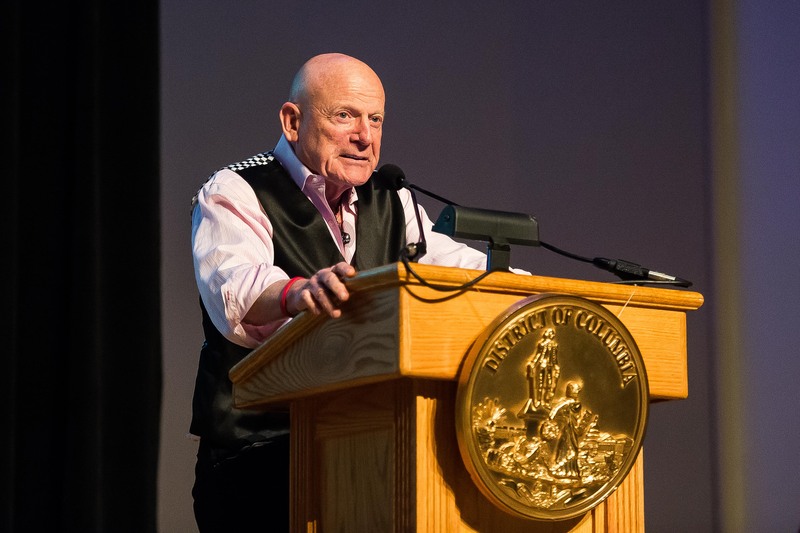 A short film was presented featuring Douglas’ work and interviews with colleagues and preservationists like Tersh Boasberg, former Chair of the DC Historic Preservation Review Board. “Douglas has found a way to do both historic preservation and make a decent return. I wish he would bottle that secret and share it with all developers,” said Tersh. Douglas continues to project his vision with current projects like The Hecht Warehouse District and Uline Arena / The Coliseum. In addition to the Lifetime Achievement Award, the signature Douglas Development project at Arch Square, 801 7th Street NW, located in the heart of the Chinatown neighborhood of the Downtown Historic District, was an award winner. The award in the category of “design and construction” notes the exemplary rehabilitation and expansion of this long-neglected commercial corner. Arch Square Winning Team: Douglas Development Corporation, McCaffery Interests, Inc., R2L:ARCHITECTS, Winmar Construction, and Antunovich Associates.